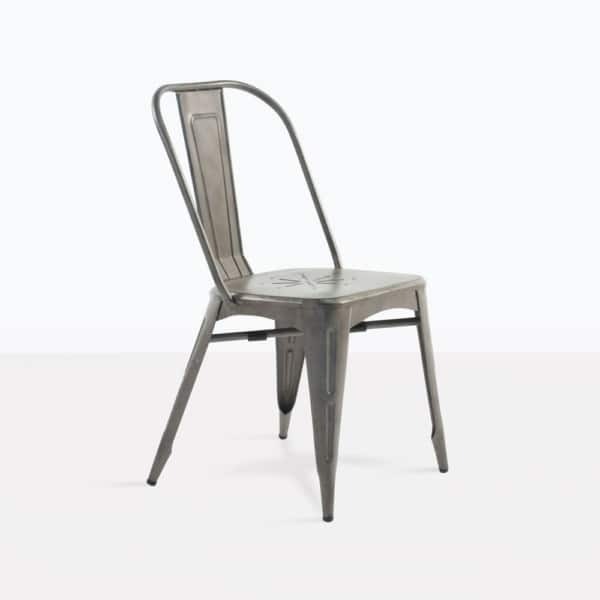 Exquisitely stylish, the Alix Chair is simply a fabulous chair, the design of which caters to both indoor and outdoor settings. This light and airy aluminum dining chair is reminiscent of the 1950′s. Place indoors around a solid wood table for a clever modern look or mix and match with any teak or raw concrete table for the perfect outdoor dining experience. 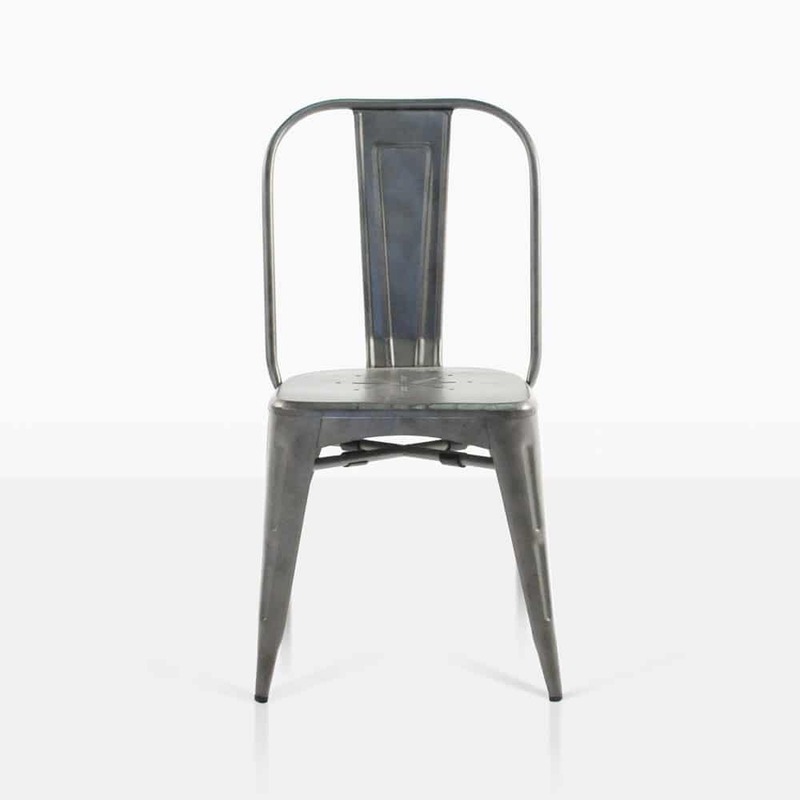 APurchase this modern metal chair with one of our beautiful Reclaimed Teak tables, for a rich, contemporary look, or place with one of the Raw Concrete and Teak Tables to create an industrial vibe while still maintaining comfort and style. If you have a small space you want to spice up, try one of our Raw Concrete Dining Tables, surrounded with Alix Chairs for a simplistic yet on-trend dining area. 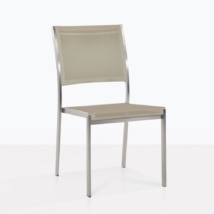 Our clients love this modern metal chair for indoors as well as out. Refine your indoor dining experience by adding 10 of these chairs to your modern marble table, or to a solid wooden dinner table. 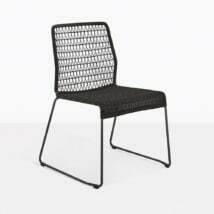 Get several of these fabulously funky chairs for in the office, as a splendid alternative to the usual seating you would find. Use the opportunity to make your space impressive! 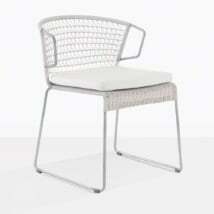 The Alix Chairs also are a terrific piece for around the kitchen table, adding texture and modern flair to your indoors. The Alix Chair is light in weight, for easy movability, and finished in matte dark grey and is made with non-rusting powder-coated Aluminum. 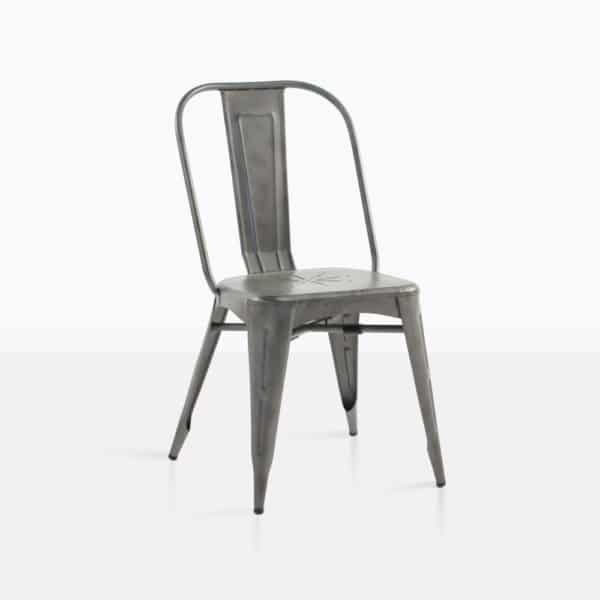 Impress your guests with this unique aluminum dining chair! Teak Warehouse is open 7 days a week, so call in or visit our showroom. You may also send an enquiry at [email protected] Our friendly sales team members are on hand to help you find the best look to suit your space and taste!